Here you find the download of the last 32-bit versions of some of our plug-ins. Note that we no longer sell separate licenses for these versions. However, with your purchase of a new license for that plug-in, we can provide a free license for these versions. Please request this by email. 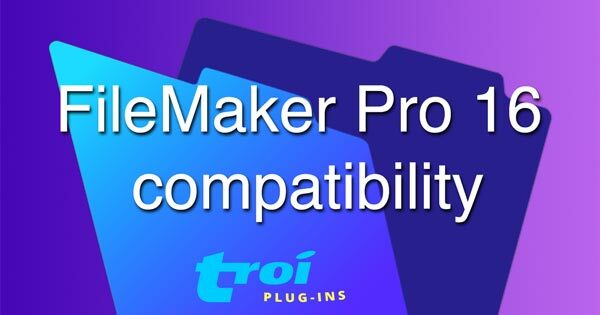 Here you’ll find some information regarding compatibility of Troi Plug-ins with FileMaker Pro 16. 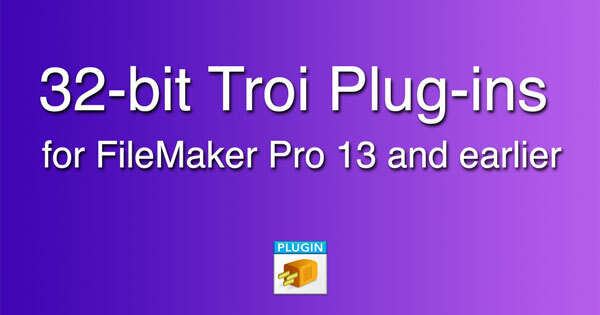 Here you’ll find some information regarding compatibility of Troi Plug-ins with FileMaker Pro 15. 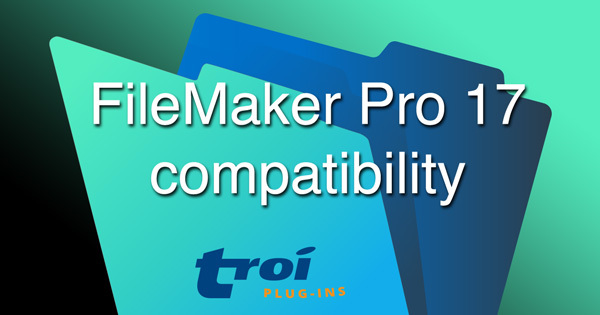 Here you’ll find some information regarding compatibility of Troi Plug-ins with FileMaker running in 64-bit mode.